Moenchengladbach, October 31, 2018 – astragon Entertainment and developer Jujubee are happy to present the trucks of the next license partner of the mobile game Truck Simulation 19 today. 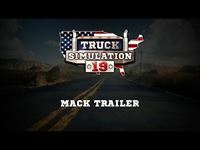 The originally licensed trucks of US manufacturer MACK® will give virtual truckers the opportunity to drive along the iconic United States highways and make their American dream come true. The mobile game Truck Simulation 19 will be released for iPhone®, iPad® and smartphones and tablets using the Android™ operating system on November 14, 2018. Diverse environments and more than 30 US cities aren’t the only aspects creating an immersive trucker feeling in Truck Simulation 19. Other essential elements are authentic vehicles in the typical US truck design with enough horsepower for the transport of different kind of freights as well as pulling heavy trailers. Of course a real US truck also needs to provide a certain level of pleasant driving comfort. All those important features come together in the three true-to-original truck models of the truck brand MACK®: the Mack Anthem™, the Pinnacle™ Axle Back and the TITAN BY MACK™. As is possible with every other truck in the game, the truck models of MACK® can be equipped with different kinds of cabs for short-, middle- and long-range trips. If these customization options aren’t enough, every owned MACK® truck can be customized in a variety of ways. Compared to other playable trucks in Truck Simulation 19 the customization options for the three MACK® trucks are widely expanded with a lot more modifications to choose from offer quite some additional modifications to choose from: Not only the colour of each model but also the bumpers, the wheels and the wheel sizes, the rims as well as the exterior mirrors and many more parts are completely customizable. 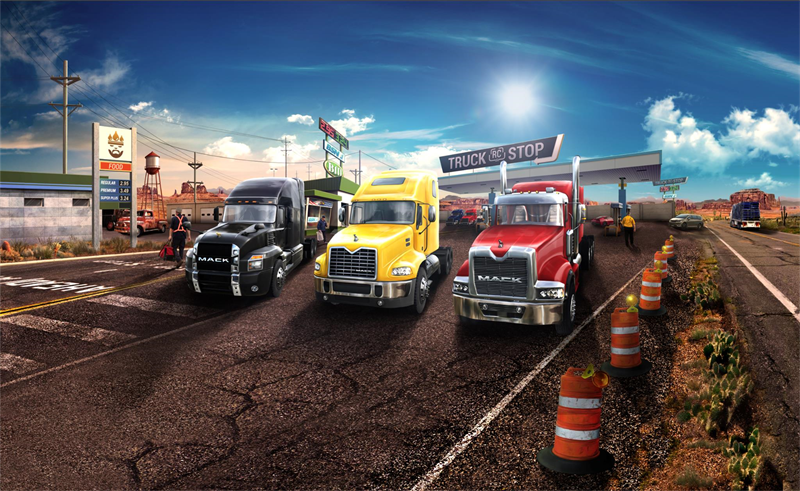 By doing so truck fans will be able to conquer the highways with a special MACK® truck that reflects their unique tastes and preferences. Truck Simulation 19 will be released on November 14, 2018 for iPhone® and iPad® in the Apple® App Store® at a price of 3.99 Euro/2.99 USD/2.99 GBP (RRP). The game for smartphones and tablets using the Android™ operating system on Google Play® will be available for free in a limited content. The full version can be unlocked at a price of 3.99 Euro/2.99 USD/2.99 GBP (RRP). Truck Simulation 19 now has a final release date on November 14!